Ready to represent yourself in your divorce, but not sure where to start? Have questions about the application or not sure how to file with the court? Or, are you and your spouse unable to agree on issues pertaining to your divorce or child custody? Do you have questions? Do you need to know more about your particular situation? Arrange a consultation with one of our attorneys—we are ready to help you! Do you and your spouse have issues that you are unable to resolve? Mediation gives you and your spouse a safe, confidential place to address these issues. Learn more how mediation can help! 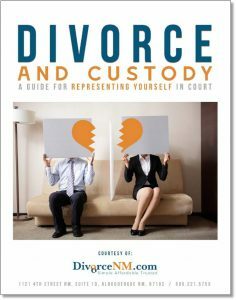 DivorceNM has partnered with the Family Law Resource Group – local experts who understand New Mexico Family Law. You may schedule an appointment to consult with one of their experienced family law attorneys to answer your questions and learn more about the process, or schedule a mediation so you and your spouse can have a safe, confidential place to work through any issues you may have. To get prepared for your New Mexico divorce, we have provided easy to follow checklists, including a Divorce Intake form and a Child Custody Intake form. We suggest that you review the checklists prior to meeting with a New Mexico family law attorney from the Family Law Resource Group.